Andy Murray has thanked all the fans who boiled down an individual sport about physical, technical and mental prowess to a question of national identity. “You really got to the nub of the matter,” the two-time Wimbledon champion said. The question over whether Murray is British or Scottish when he wins has plagued tennis pundits since Murray’s career began. “It’s the defining question of our sport,” said self-confessed perennial English loser Greg Hencastle. 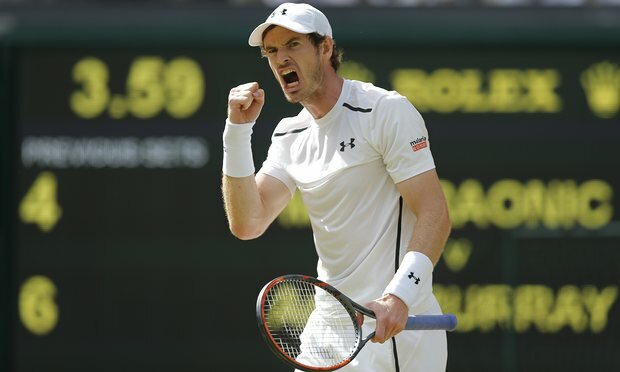 Murray settled the question once and for all by beating Milos Raonic in a dazzling straight-sets display full of Scottish grit and grease to win Wimbleon 2016. Speaking to the post-match press conference, Murray said: “They should pat themselves on the back – they really got to the nub of the matter. “Without them,” he added, Caledonian voice cracking with Celtic emotion. “Well – I’m not sure I could have done this. This is a complete fabrication as no one would say it the way quoted.